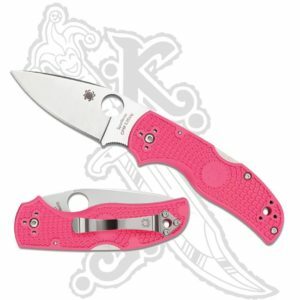 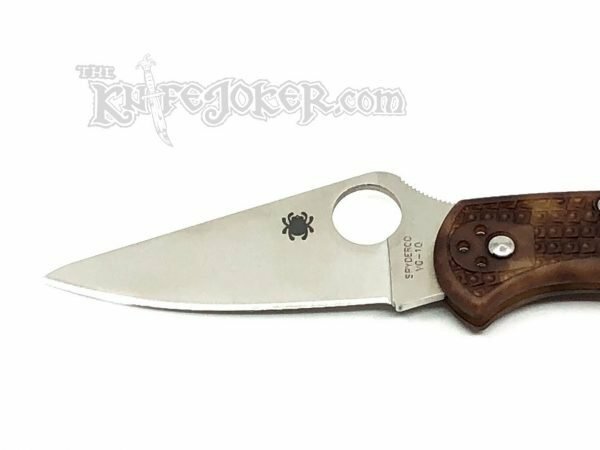 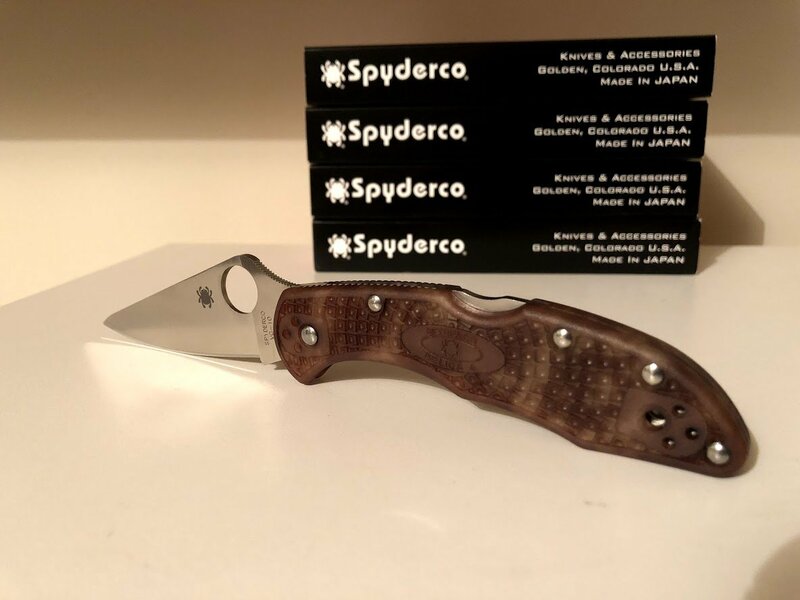 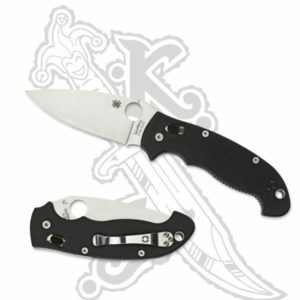 Introduced in 1990, the Spyderco Delica was the first its kind on the market. 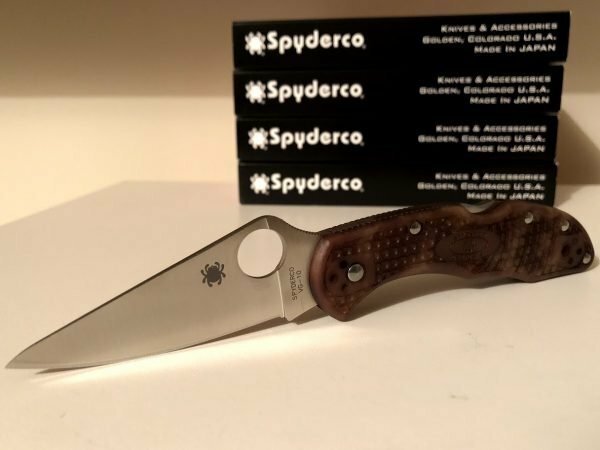 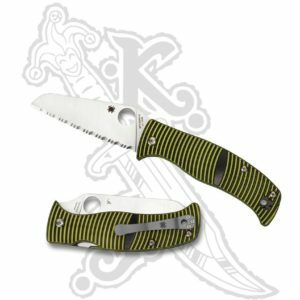 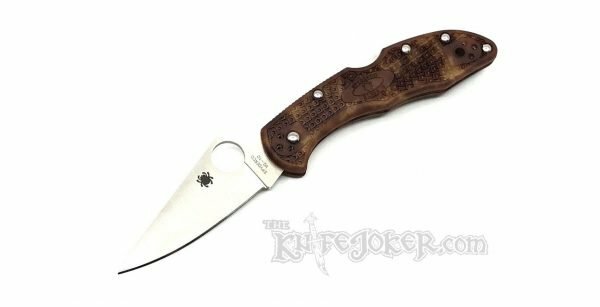 Delica opened up the knife market to lightweight performance, one-hand opening pocket knives that just about everyone could afford. 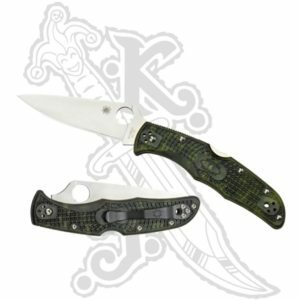 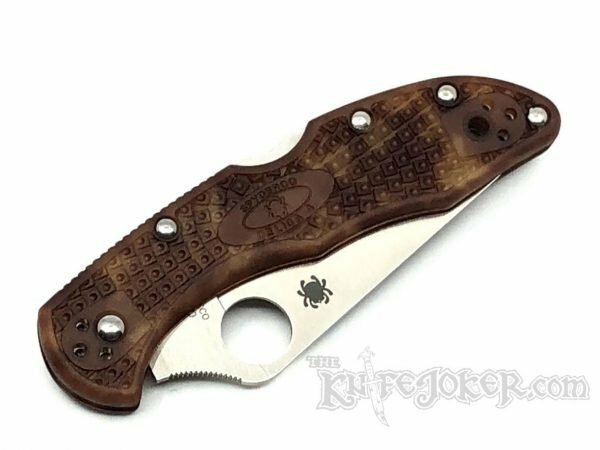 This Delica 4 Lightweight boasts all the defining features of its breed, including a full-flat-ground VG-10 stainless steel blade, a sturdy back lock mechanism, skeletonized stainless steel liners, and a four-position pocket clip. 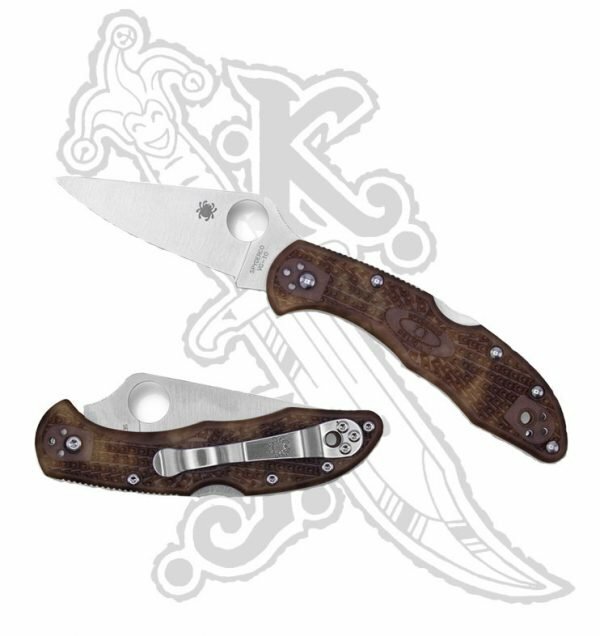 Its injection-molded FRN handle showcases a brilliant hand-dyed zome pattern in shades of tan and brown. 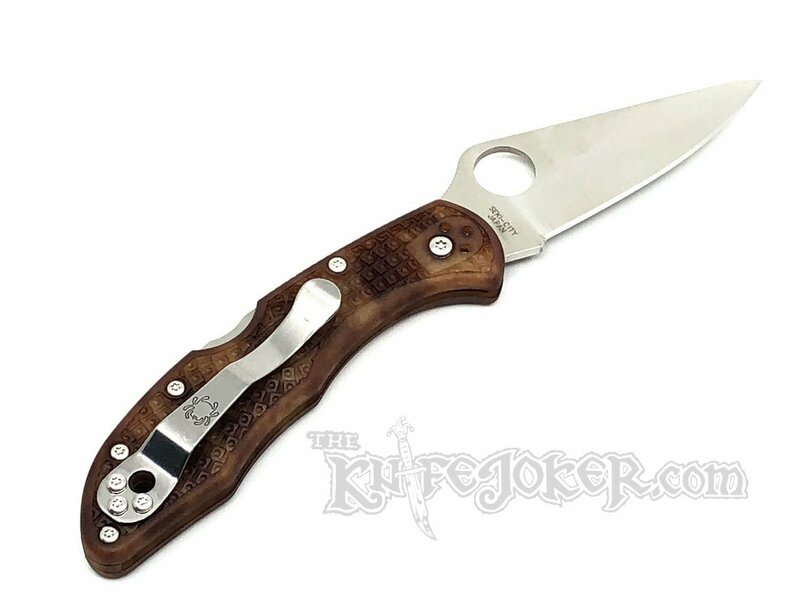 This particular model has a flat ground blade and Desert Camo Zome FRN handles.